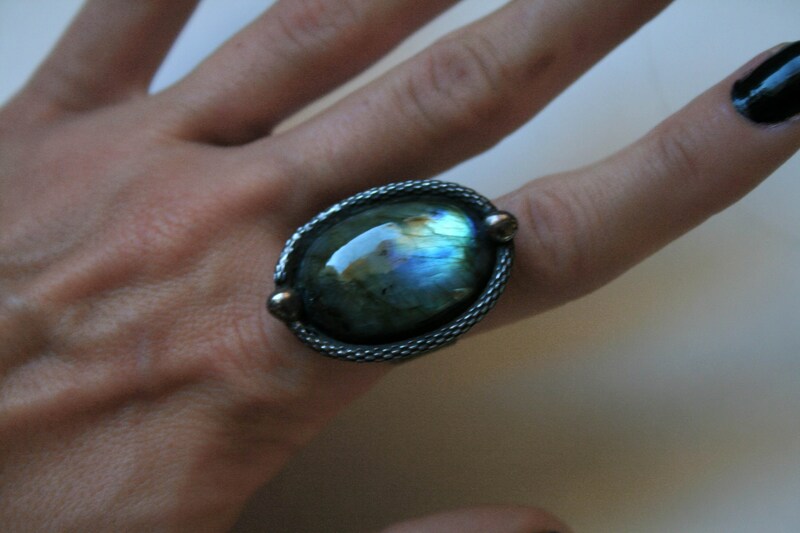 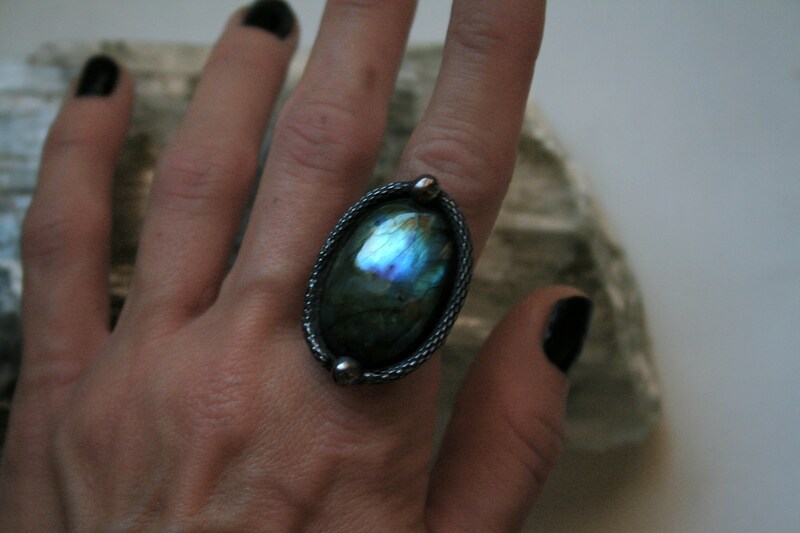 One ring featuring an oval cut labradorite stone, with subtle flash, which has been set in a handmade artistic sculptural solder setting, on a brass band that has been heavily coated with solder. 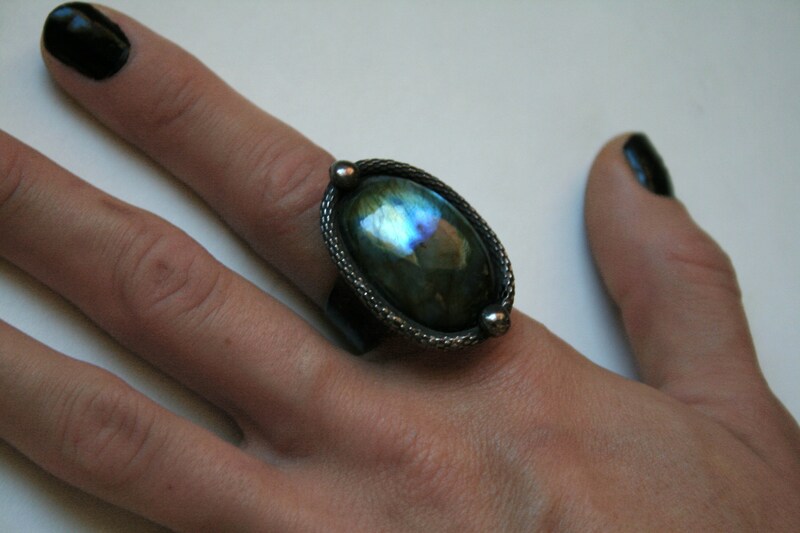 As Promised!! 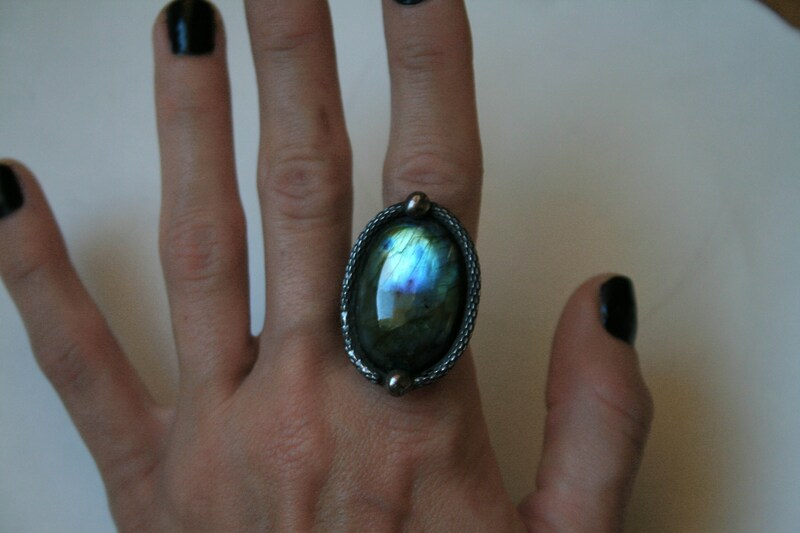 So 1st off this is a large stone and definitely gives me that theatrical and witchy vibe! 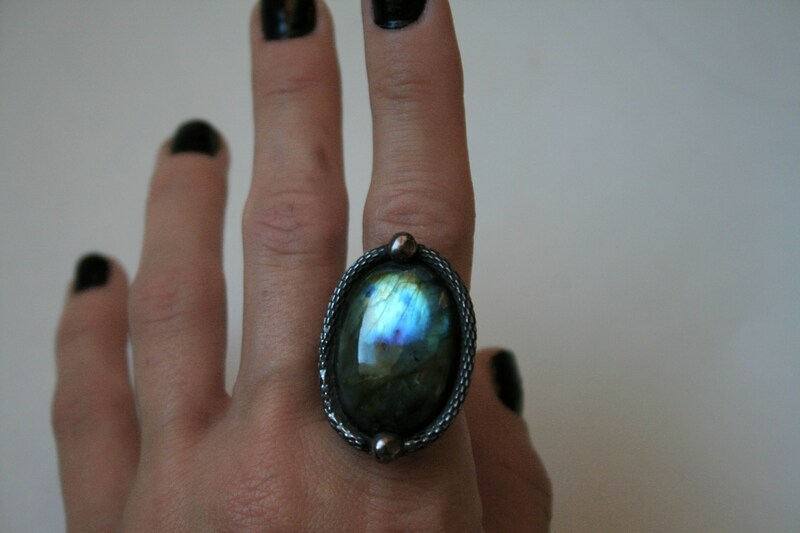 The stone has a lot of colors too it. 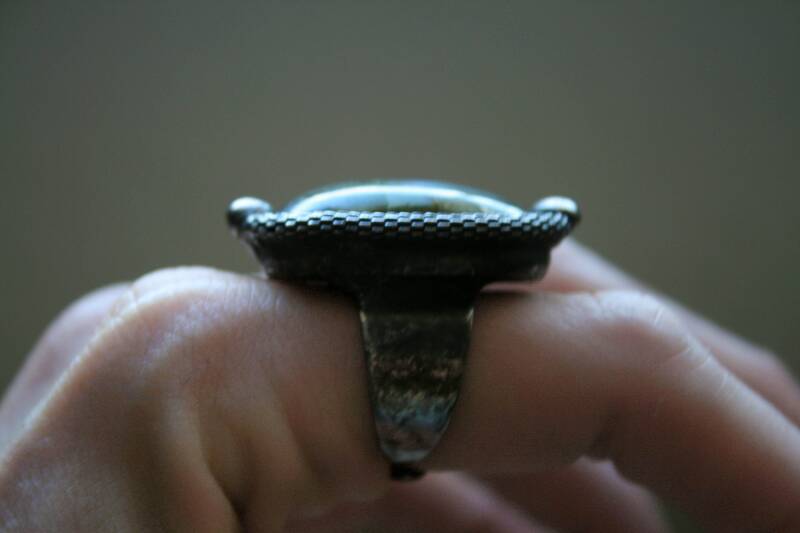 I wear about a size 10 for my index finger which this ring is able to adjust too.